The other day we filled holes and gardened and I have been VERY mindful of the dogs to make sure they are not messing with the new dirt. 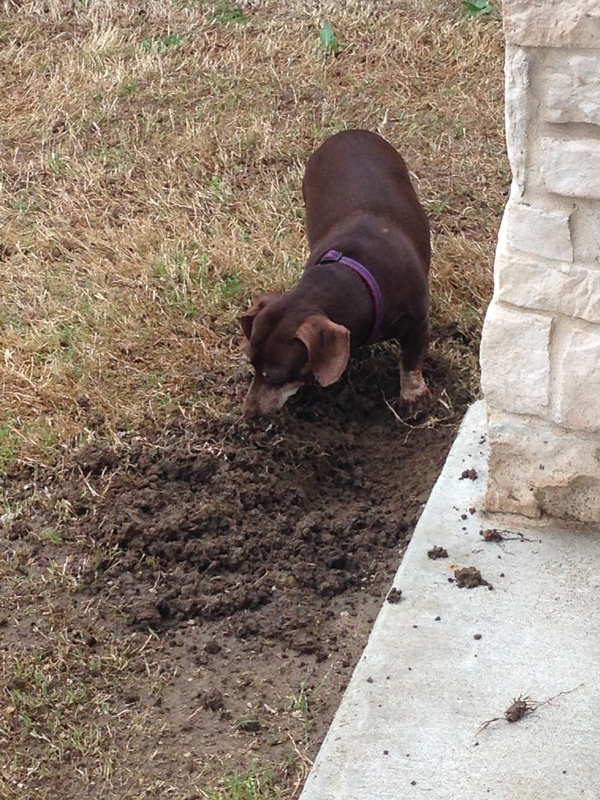 Well I got distracted and then found Rose digging in the muddy hole! This puppy is a mess…. but it always makes me laugh at how smart and sneaky she is!